The DeLorean DMC-12 is arguably the most recognisable car of all time. People stop in their tracks when they see a DMC-12; they point fingers, they smile. The DeLorean is a car that even non-car people can gush about. The distinctive shape, gull wing doors, coupled with a starring role in the Back to the Future trilogy has ensured global fame. Not bad for a lacklustre sports car that was hastily built in West Belfast, by people who had no automotive manufacturing experience. 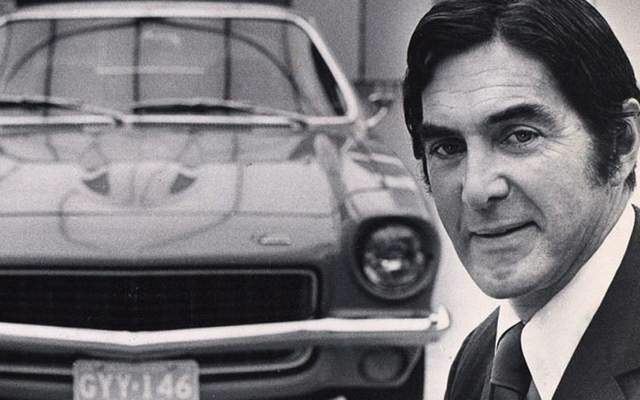 The DMC-12 started out as the brainchild of one man – John DeLorean. A whirlwind career in the US automobile industry saw him turn round the fortunes of struggling Pontiac. Successive promotions saw him take the helm at Chevrolet, the biggest and most important marque in the General Motors (GM) stable. In 1973, at the zenith of his employment, he walked away from it all. It’s hard to know if DeLorean had planned to set up his own car business. When he left GM, he was already set for life financially. He didn’t need to work, but his verve and thirst for all things automotive meant he immersed himself in a brand new project. 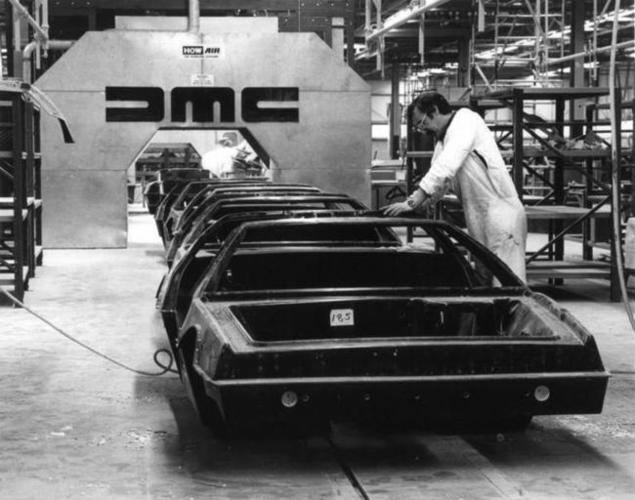 By early 1974 DeLorean’s thoughts turned to developing a car of his own. Finances for the project came from an unlikely source. The insurance giant Allstate provided funding, on the basis that the prototype was designed as a safety vehicle – a showcase for cutting edge automotive safety technology. But somewhere along the line Allstate lost interest, leaving DeLorean with the cash and free reign to do his own thing. Freed from the need to comply with GM’s mass market mentality, DeLorean began to formulate plans to create a sports car. He had always been a man who liked finesse, flamboyance and European flair. His favourite car from his own collection was a Maserati Ghibli. Styled by Carrozzeria Ghia, the V8-powered Ghibli was penned by an emerging designer named Giorgetto Giugiaro. 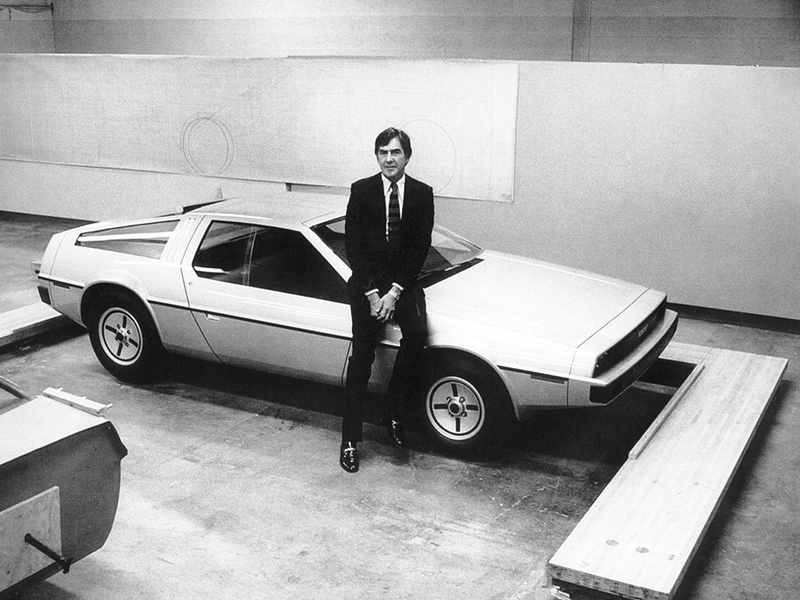 This would be the man who would pen the design for DeLorean’s dream machine. 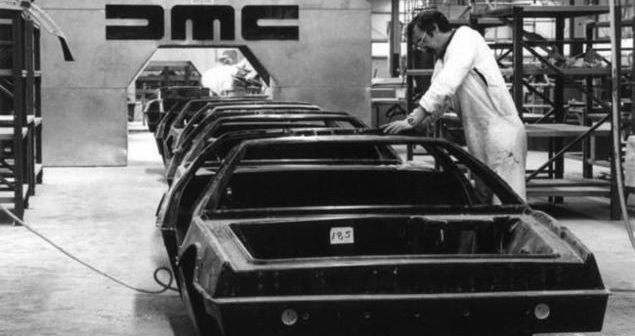 DeLorean insisted on gull-wing doors, a mid-mounted engine and a cabin capable of holding two 6ft+ occupants comfortably; he also was interested in emerging composite technology and was keen to make the chassis using a process called Elastic Reservoir Moulding (ERM). Soundings were made about the possibility of a Wankel rotary engine, but Guigaro’s final design was packaged around a humble 4 cylinder power plant, plucked from the Citroen CX. In October 1976, the car was officially unveiled to the press. They couldn’t sit in, they couldn’t drive it and, in reality, it was little more than a life-size model; but they were captivated. In early 1977, an updated prototype was rolled out which journalists could touch and feel, but driving was still off limits as DeLorean insisted it wouldn’t be representative of the final production version. Despite this, the prestigious and influential Road and Track magazine succumbed to the allure of this futuristic stainless steel clad machine and car on the front cover. But it was clear that to move to full-scale production DeLorean needed more investment. I'll chime in early and say this is fantastic. I knew about the drugs, but I didn't know the extent of the extortion of government and investment funds DeLorean and his cronies swallowed. Even still - they did it in Dunmurry. That's still an incredible thought. Good write up. I remember them at the Motor show in Belfast, all the excitement and anticipation (n)(n) I know someone who bought one new and it turned out to be junk. It leaked, broke down and the electrics were shiite. Great write up, didn't know Allstate was involved in the early part of delorean. Easy read that. Good job. Cheers folks, much appreciated. The DMC story is fascinating - so many twists and turns with too much to squeeze into even that article. I really think that Northern Ireland should do more to promote DMC-12 heritage. I think the fact that the Government lost so much money initially means it's an period of history that would rather be forgotten. Indeed, the final court action regarding recuperation of funds only concluded in 2005 ish. | Cheers folks, much appreciated. The DMC story is fascinating - so many twists and turns with too much to squeeze into even that article. I really think that Northern Ireland should do more to promote DMC-12 heritage. I think the fact that the Government lost so much money initially means it's an period of history that would rather be forgotten. Indeed, the final court action regarding recuperation of funds only concluded in 2005 ish. Just imagine as a 10 year old seeing these for the first time. It was like something from outer space. This place was a complete toilet back then nothing but death and destruction. To see something so different being made here in the north of Ireland was big news. It brought jobs prosperity and above all something for people to say they had a hand in building. As a young child I loved watching them being driven on the roads. I used to ride my bmx down to the test route and wait for the cars. They didn't always come but when they did I always waved at the drivers, normally they waved back or a thumbs up. One driver stopped and gave me a key ring and a badge, it was like getting a million sweets lol. Sorry for boring you all with my childhood memories.